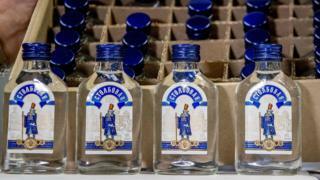 Acting on a tip-off, Dutch authorities boarded a ship and seized 90,000 bottles of vodka they believe may have been headed to the North Korean regime. UN sanctions levied on North Korea because of its nuclear programme forbid the importing of such luxury items. The ship's destination was listed as China, but a Dutch foreign ministry source told BBC News they had suspected its real final port was Pyongyang. The haul was found last Friday aboard a Chinese ship in the port of Rotterdam. Mr Kooij, the customs official, said the seizure followed a tip-off from Hamburg - the ship's last port of call - that the container might be in violation of the sanctions against North Korea. Economic sanctions have been in place against North Korea for more than a decade, severely limiting access to many goods - consumer and military - in the politically isolated nation. Most ordinary citizens in the country live in poverty, but the wealthy manage to live in relative luxury despite the ban on imports. Mr Kim, in particular, is known to enjoy the finer things, including expensive cars, a luxury yacht, and a private government plane. The North Korean leader is currently in Hanoi, Vietnam, having arrived on his armoured train for a summit with US President Donald Trump. The pair met last year in Singapore at a historic summit to discuss denuclearisation on the Korean peninsula. Little concrete progress was made afterwards, despite the signing of a vaguely-worded declaration. 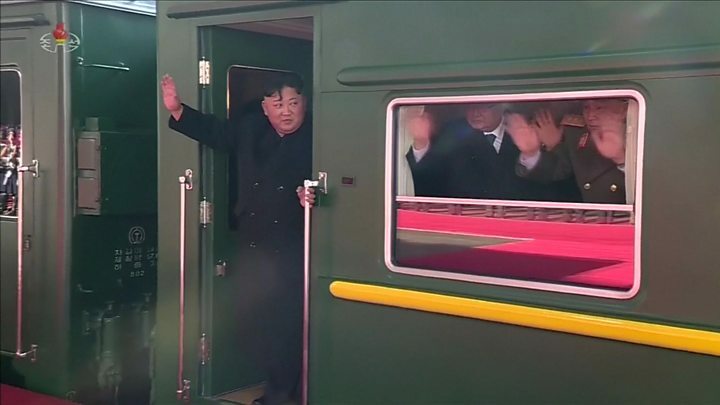 Video Why do North Korean leaders like to travel by train?